HARTFORD - The State of Connecticut’s office of the attorney general is investigating a scam mail that is being sent to businesses charging more than required to file an annual report. The secretary of the state and the attorney general have released a statement warning Connecticut businesses about the scam, which charges $110, but the regular fee from the secretary of the state to file the annual report is only $20. These state offices urge members of the business community who receive this mailing called “2019 - Annual Report Instruction Form” to file a complaint with the office of the attorney general by completing the complaint form at or by emailing and to include a copy of the document they receive to assist in the investigation. If businesses are unsure about the legitimacy of a business filing notice, they can contact the office of the state secretary at 860-509-6003 or email . “We are ready and eager to help any Connecticut business owner,” Merrill said. 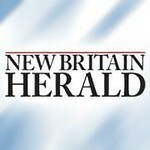 Posted in New Britain Herald, Business, General News, State on Monday, 14 January 2019 20:42. Updated: Monday, 14 January 2019 20:44.